Official Scrubs TV Fan Gear! Paging fans of J.D., Dr. Cox, Elliot Reid, Chris “Dr. Turk” Turkleton, Carla Esposito, Bob Kelso, The Todd, and the rest of the gang at Scrubs! Check out these original, official Scrubs designs from LOL Teez Originalz on CafePress! Every design is available on your choice of t-shirt and color, as well as hoodies, hats, mugs, and other Scrubs gear! Dr. Cox made a point of calling J.D. every day. Are You a Real Doctor? – Classic Dr. Cox rant! Elliot Reed: Moment Killer – Great timing, Elliot! 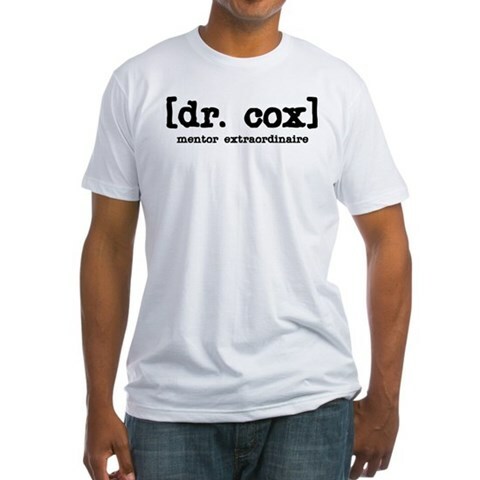 Dr. Cox: Mentor Extraordinaire – Who doesn’t want a mentor like Dr. Cox? 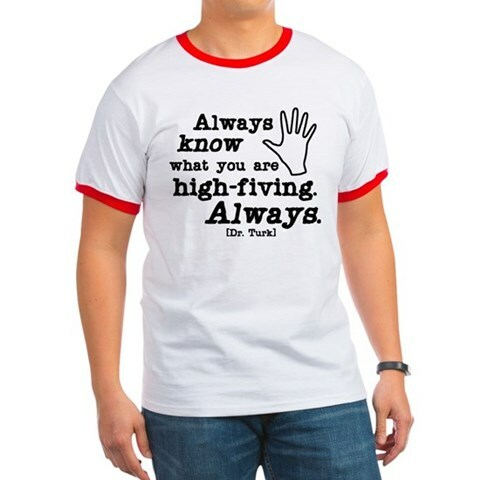 Always know what you are high-fiving. You Idiot … – Dr. Cox, interrupted. Total Humiliation – Elliot celebrates finally zinging Dr. Cox! Just Say No – Dr. Cox style. to donate his son’s organs, Dr. Turk gets a little carried away. All designs copyright © 2010 by LOL Teez. All designs in compliance with Scrubs fan portal rules at CafePress.com. ← The Ultimate Rube Goldberg Machine!